Trenches 7N A and B were sited on the North side of the revetment wall and excavated to a depth of 60 cm at the deepest point. 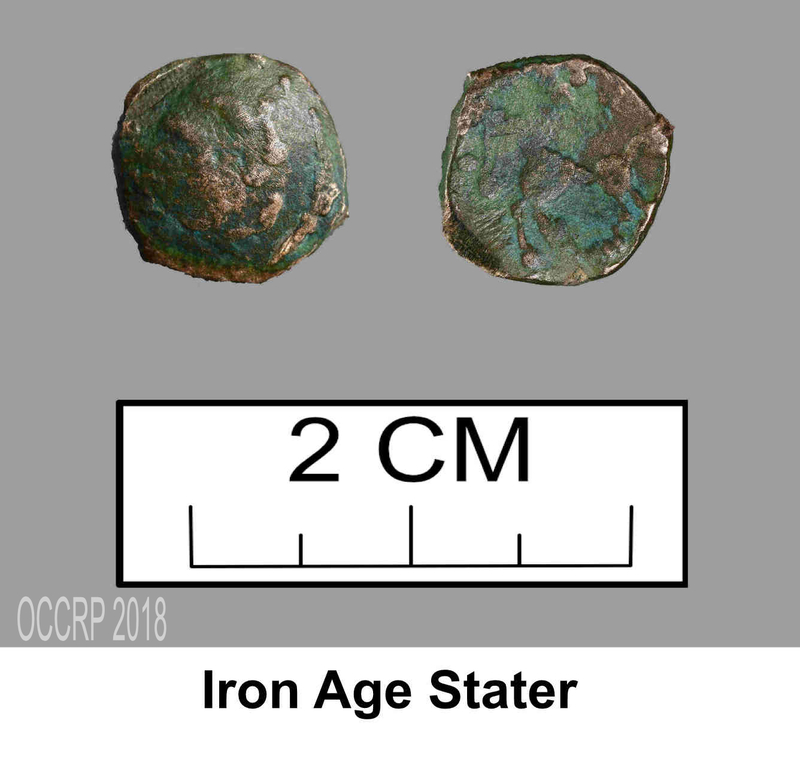 These revealed a tumble of stones and small boulders that appeared to be demolition material with no sign of in-situ masonry, with very few finds, mostly clay pipe fragments and modern coins. It was clear that the Keep structure did not extend into this area of the embankment, so the trenches were closed and back filled. Trench 7N C was a larger trench on the West side of the revetment wall extending from the Northwest corner of the revetment wall to the steps that access the top of the mound. This was excavated to a depth of 1m revealing the Northwest corner of the splayed base of the Keep. There was another structure built up against the splayed base, but not tied into it, indicating that it was added later. 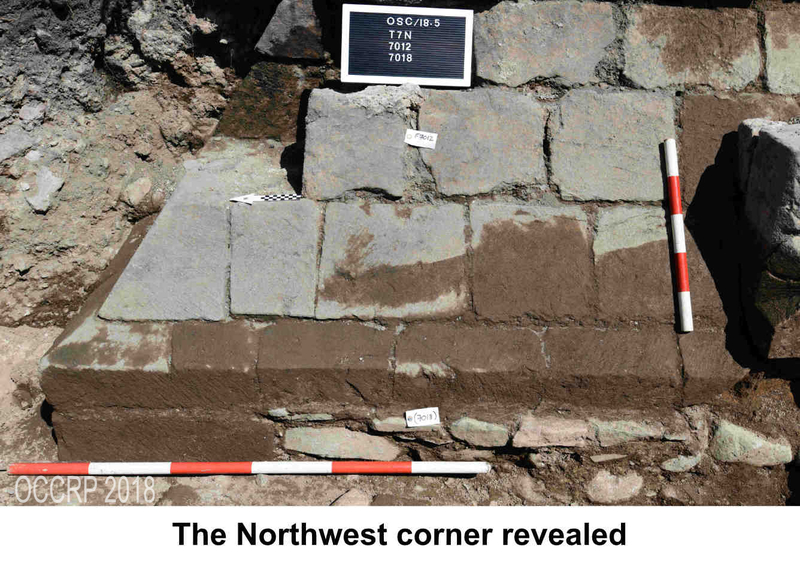 The materials and techniques used are very similar to the door pilaster found against the East face of the Keep in September 2017 but there is not enough remaining to indicate a date or even a function. Not much remains of the structure as it has been truncated to the West, along with the Western side of the Castle mound. 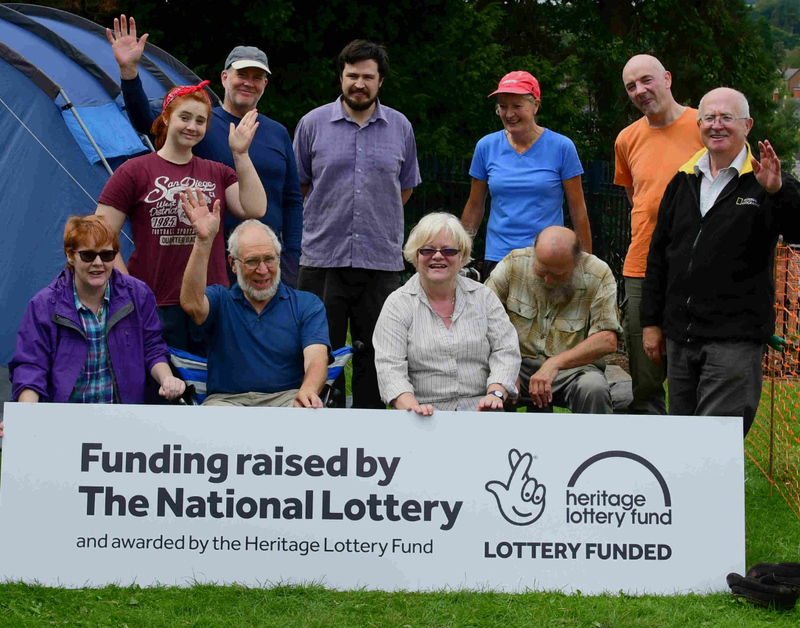 A local Historian, John Pryce-Jones, pointed out to us an article from the Shrewsbury Chronicle dated 16 Mar 1838, indicating that a number of out of work men were employed to remove a section of the mound and “a mass of ruins of the castle”, which may explain the truncation. It appears that the mound, and the Castle, were at one time much larger than that which we see today. The Northern part of the later structure consisted of a low arch with a large blocking stone with well laid slates beneath. Several interpretations are possible, but it may have been an entrance to the later structure which was itself subsequently altered. Amongst the fill covering the slates were some pieces of glazed and decorated floor tiles. These would have been very expensive items in the 12th century (possibly from a chapel) and further indicate the high status of this castle. The last trench, T7S was sited to the South of the access steps. This was excavated to a depth of 1m but there was no structure within it, and no trace of the spread of demolition material found in previous trenches. It is possible the West face of the Keep lies underneath the revetment wall at this point and it would be unsafe to excavate beneath it. Interestingly in the upper layers of this trench we recovered some sherds of Iron Age pottery and an Iron Age coin ( known as a Stater). How these came to be in a fill containing modern items is uncertain, but suggest that this is imported material used to construct the earth embankment around the base of the revetment wall. This was an interesting excavation that allows us to reconstruct the plan of the Keep in more detail than before. 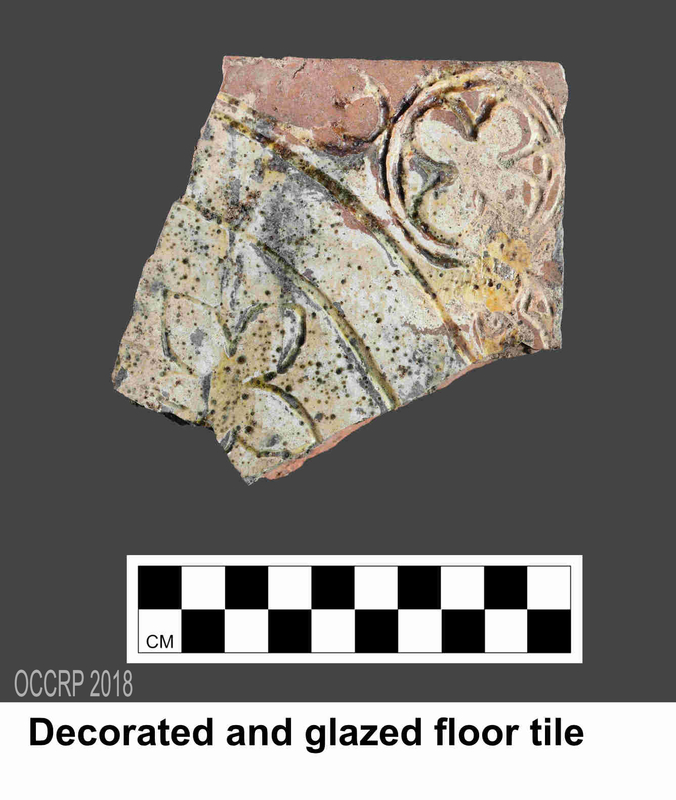 The presence of an unexpected structure beyond the limits of the splayed base similar in construction to that which we discovered to the East of the Keep in September 2017, along with the recovery of the floor tile pieces, all add to our understanding of the Castle. The Iron Age finds, though clearly out of context, demonstrate the ability of this project to continually surprise us.